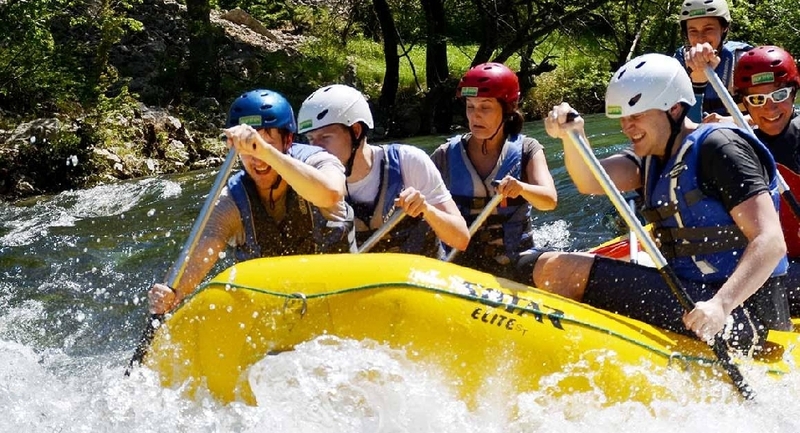 Canoe safari adventure on river Zrmanja can be one of the most relaxing, healthy, and enjoyable ways to spend your day. 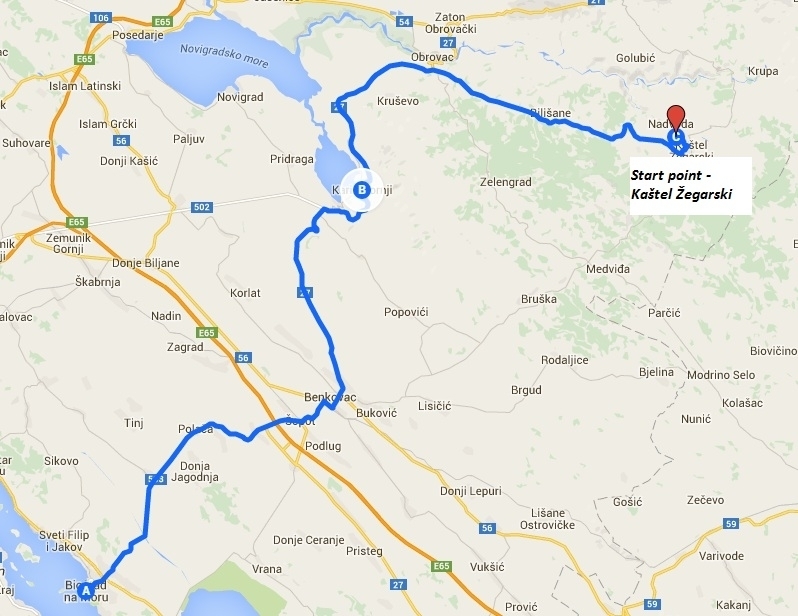 Our tour begins in Kastel Žegarski, ( 40 km from Biograd ). 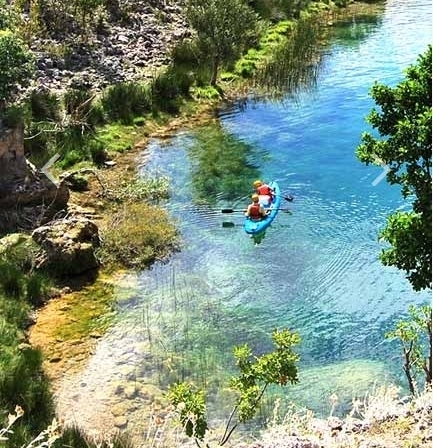 You will quickly learn the techniques of paddling in a boat with the help of our international licensed guide while slowly entering the canyon. 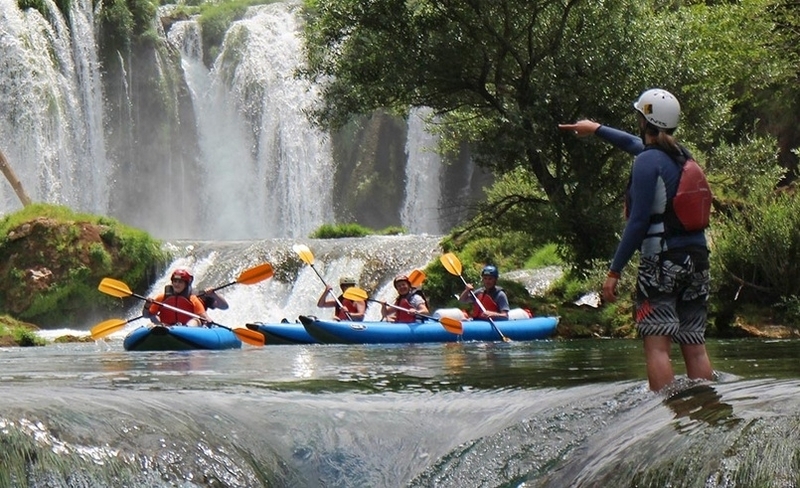 After the first hour of paddling easy rapids, we will visit the beautiful waterfalls of the river Krupa and swim under them. 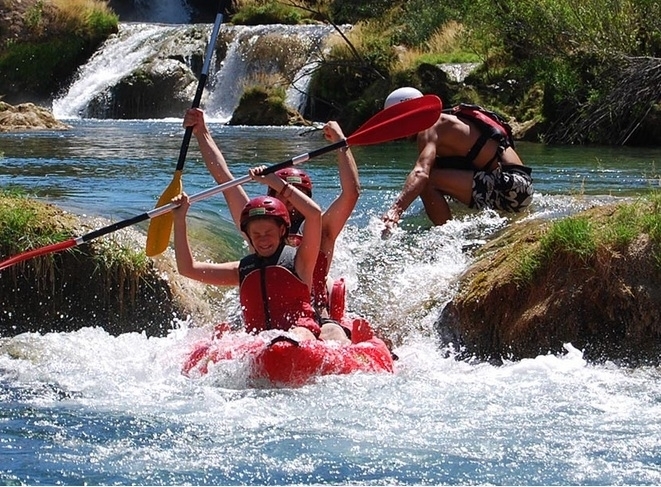 More waterfalls and rapids await you below the trip down the River Canyon to Muškovci, where the tour ends. At the end of the trip of your choice you can freshen up at a nearby restaurant with a drink or meal. **Rafting can be organized only when water level is high enough for these boats.